From the acclaimed author of Pearl and Final Payments comes a beautifully choreographed novel about first lovers meeting again after more than thirty years and reimmersing themselves in their shared past. Miranda and Adam, high-school sweethearts now in their late fifties, arrive by chance at the same time in Rome, a city where they once spent a summer deeply in love, living together blissfully. At an awkward reunion, the two—who parted in an atmosphere of passionate betrayal in the 1960s and haven’t seen each other since—are surprised to discover that they may have something to talk about. Both have their own guilt, their sense of who betrayed whom, and their long-held interpretation of the events that caused them not to marry and to split apart into the lives they’ve led since—both are married to others, with grown children. For the few weeks they are in Rome, Adam suggests that they meet for daily walks and get to know each other again. Gradually, as they take in the pleasures of the city and the drama of its streets, they discover not only what matters to them now but also more about what happened to them long ago. Miranda and Adam are masterfully portrayed characters, intent upon understanding who they are in relation to who they were. A story about what first love means and how it is shattered, and the lessons old lovers may still have to share with each other many years later, The Love of My Youth is also a poignant look back at the hopes and dreams of a generation and what became of them. Mary Gordon is the author of six previous novels, two memoirs, a short-story collection, and "Reading Jesus, " a work of nonfiction. She has received many honors, among them a Lila Wallace-Reader's Digest Writers' Award, a Guggenheim Fellowship, an O. Henry Award, an Academy Award for Literature from the American Academy of Arts and Letters, and the Story Prize. She is the State Writer of New York. Gordon teaches at Barnard College and lives in New York City. "Emotionally engaging and smoothly flowing, The Love of My Youth showcases Gordon’s power to write with controlled urgency, without dissembling or exaggeration, to reveal truths that are hard to face in the unsparing light of day, but without which we could not see ourselves as we are." "Entrancing . . . Gordon deftly awakens the strain of regret and desire that we too feel as we watch old loves and old selves recede." "Gordon . . . writes of the affection and wistfulness one has looking at the self growing smaller in the rearview mirror. And as a soulful and spiritual writer, the author of Final Payments and Circling my Mother, she is in many ways just the person to write such a book. 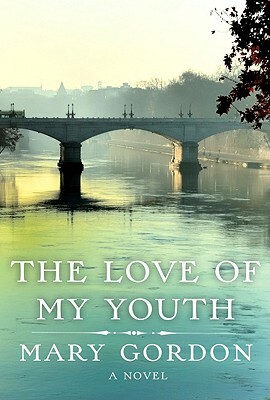 . . [The Love of My Youth] provides us a nice leisurely space to wander—and wonder." "[Gordon] is sensitive to the subtlest differences of class and religion, and the most satisfying aspects of The Love of My Youth are Gordon’s interpretations of how the differences in Adam and Miranda’s backgrounds impact their relationship. The novel is also filled with small resonating details, from the architectural beauties of urban Rome to Adam and Miranda’s anxious glimpses of their aging bodies in front of hotel mirrors. The Love of My Youth is as much about how we feel about our past and the choices we made and make, as it is about the love story between two young people." "Virtuoso and versatile Gordon offers brilliantly fresh takes on family conflicts, women’s lives, war, and global suffering while ingeniously meshing classic love stories with modern mores, and ecstasy with wisdom, to create an enthralling drama of innocent passion, crushing tragedy, and the careful construction of stable, nurturing lives." "Thoughtful and moving, Gordon’s latest captures the ardor and vulnerability of young love and the cautious circumspection of middle age." "Since this is Gordon, you can rightly expect many thoughtful, penetrating insights on how we manage ourselves as we get older, all couched in shining and gently acidic prose."